Our CS:GO best settings page covers the best mouse DPI and sensitivity settings, as well as screen resolutions, aspect ratios and optimal video settings to get the best performance possible. 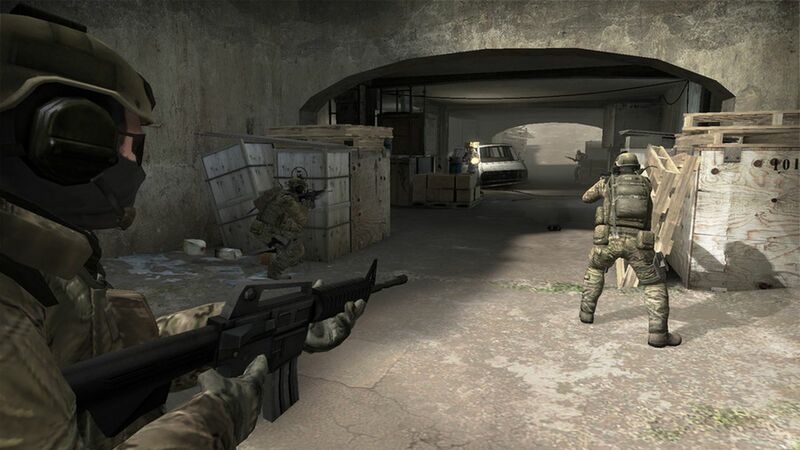 Many newcomers to CS:GO think personalising the game to their liking is bound by the confines of the in-game settings menu. If you've arrived at this page, then you'll have come to realise the wonders that an auto-exec file can achieve, as well as the benefits of tweaking your mouse sensitivity to make clicking on enemies feel just right. If you’re getting serious with CS:GO then taking the time to sort out all your settings is an absolute must. The level of customisation possible with console commands is pretty staggering, and it’s incredible what a world world of difference simple mouse sensitivity or screen resolution changes can make to your game. Below we’ve put together everything you need to know about changing CS:GO’s settings to benefit your playstyle and achieve optimal FPS. It’s all laid out in a walkthrough style without any assumed knowledge, in order to avoid being an intimidating hunk of “do this and that”. Never rummaged around the innards of your PC’s mouse settings? It’s no surprise if you haven’t, as we certainly didn’t touch anything until we got serious about CS:GO in our attempts to climb the ranks. For a start, you’ve probably still got mouse acceleration turned on and that's the first priority to deal with. To explain things simply, having mouse acceleration turned on means that Windows subtly alters the way your cursor moves in its attempt to increase precision. It turns out this isn’t ideal when you want complete control over your pointer. Turning mouse acceleration off will mean Windows will stop tampering with your mouse, and it ensures that every mouse movement is yours and yours alone. You may not even notice it at first, but you’ll begin developing muscle memory for mouse sweeps and movements, developing inconsistencies in your aim that are a result of the computer awkwardly trying its best to help. The video above shows you how to turn off Mouse Acceleration in Windows 10, without any faffing about. Cheers Nathan M.
Click “Apply” in the bottom right corner. First things first, you’ll need to get hold of a mouse that’s able to switch DPI for this to work. If you’re using the kind of plastic that came bundled with your PC, then it’s unlikely to support DPI switching. This needn't involve a hefty hit to the wallet, but rest assured that a proper gaming mouse is well worth the investment as you’ll reap the benefits across both videogames and productivity too. DPI stands for “Dots Per Inch”, and tweaking this setting dictates how many pixels you’ll glide over as you move your mouse. A player with 400 DPI will have to sweep their arm across the mousepad to shoot an enemy, while someone with 1,200 DPI will only have to flick their wrist to achieve the same result. This isn’t to say that one’s better than the other - it’s all down to personal preference. Setting your mouse to have low DPI means you’ll have to put more work in when moving the cursor. Often you’ll need to sweep your arm across the pad to turn around in games, or even to close tabs in a browser. We’ve found Low DPI settings of around 400-800 to be brilliant for precision-aiming, as you’ll begin building muscle memory. Just be warned that it does take some time getting used to. The one major drawback is the time it takes to reach your chosen destination if you’re not practiced with such a low setting. We’ve not come across many players using 1000 DPI+, as it’s more of an acquired taste if you’re a fan of using your wrist instead of your arm when moving the mouse. Having such a high DPI means that you’ll be able to pull off your mouse clicks with a flick of the wrist, however your accuracy is more likely to suffer as there’s little leeway for your aim to be ever so slightly off the mark. We’re not fans of putting, “It’s honestly up to you”, but in this case, it really is! We’d suggest giving both low and high DPI settings a go in a practice setting. Focus on moving, turning and shooting. Try and avoid standing still and see how it feels to turn a full 360 degrees on the fly, before aiming for the head of a bot. Force yourself to centre your aim before lining up headshots, or turn around and aim at enemies in the chest before spraying to see how you handle recoil. What we’re trying to say is, be creative and be thorough when giving both extremes a go. Finally, go for the DPI that feels most comfortable and start honing it in-game. Some mice come with software that allows you to fine tune the DPI of your mouse to the pixel, instead of being locked to moving up in increments. If there’s a DPI setting that doesn’t feel quite right, then try tweaking it until you’ve found the perfect sensitivity. This video by Rocket Jump Ninja provides a great insight into how to choose the right sensitivity for you. Do make sure to give it a watch and consider subscribing for more content like this. If you’ve ever watched some of the best CS:GO players in the world through streaming services like Twitch, then you’ll likely notice that their screen isn’t a clear 1080p HD. Instead it probably looks a bit low quality and pretty zoomed in too. This is all down to the screen resolution and aspect ratio they’re playing at, with many long time CS players used to old monitors. They feel more comfortable playing the game with the screen settings they’ve always known. 16:10 - Mainly used on newer monitors. 4:3 - Old school. This will cause a “stretched” screen. Some players and many pros go with a 4:3 aspect ratio which means that the image you see on screen appears stretched and zoomed in. One of the main advantages of this aspect ratio is that you’re able to see enemies more clearly, and potentially even eliminate them more easily because their hitboxes are larger. One of the main drawbacks to a stretched 4:3 resolution is that you won’t be able to see the full width of the screen, meaning that you’ll have to put more work into your positioning and movement if you want to make sure that enemies don’t catch you out from the periphery. There’s not much to say about 16:9 as it’ll be a normal fit for your screen, allowing you to see absolutely everything with no stretching. Nothing will be zoomed in, so things will appear further away in comparison to 4:3. Personally, we prefer this over anything else. Much like sensitivity, it’s down to personal preference. Try them all out and see which one fits your playstyle. To change your resolution and aspect ratio at any time, head to the video settings menu and you'll be able to find them right at the top. Here’s an overview of the best video settings options for maximum FPS. It won’t make the game pretty, but it’ll save you every last frame per second! Brightness - Choose what you’re most comfortable with. Color Mode - Computer Monitor. Aspect Ratio - Personally we prefer 16:9, but choose what works for you. Resolution - Again, choose what works for you. Display Mode - Go Fullscreen. This video by 3kliksphilip is well worth a watch and provides great pointers! He's one of the best CS:GO content creators out there, so do consider supporting him by subscribing to his channel too.